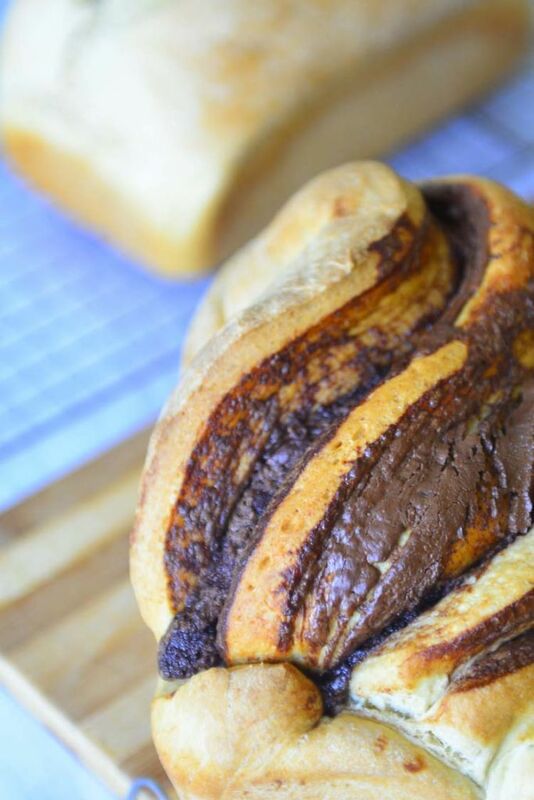 I make a lot of shaped bread – twisted, twirled, braided … you name it. It is fun to see how a little swirling or twisting can lead to incredible patterns. Just one simple extra touch to elevate the mundane to marvelous. The shaping involved in this recipe is very simple and straight forward – click here to get to the video. These pictures have been sitting in the archives for some time now. Like I mentioned earlier I make a lot of bread – braided , twisted , filled , rolled, flattened all make the cut. Often times the pictures and shorthand recipes end up in the archives and gather dust – well the electronic equivalent of it. And then I go back for a cleanup or inventory and it opens up a flood of memories 🙂 . What can I say – I love what I do ! 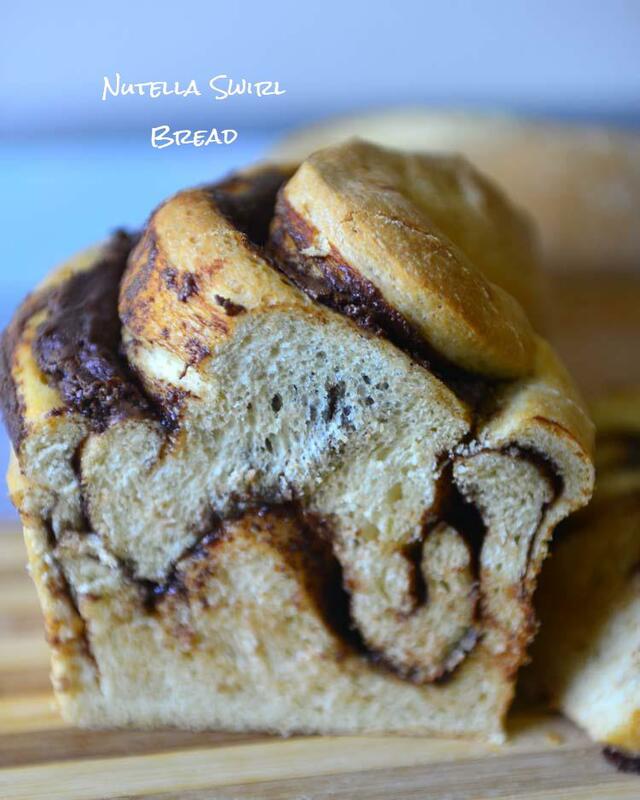 Now this was a fun bake – well who doesn’t like sweet bread and nutella ! Most of the kids I know cant get enough of it. Little and not so little hands go into the jar with spoons without any prompt. One lil monster here likes to scoop it straight out of the jar and into the mouth ! So you can imagine that there is not much of creative thinking involved in this bread. One of the easiest things to take along on road trips is PBJ or Nutella sandwiches along with apples. Just pack in a baggie or container and it stays fresh pretty much the whole day. So usually we have a loaf of sandwich bread with us on road trips and it has proven to be a godsend over and over again. See all that crackly nutella crust – I did go a bit overboard on this one. A thin layer would have been sufficient , but I was working under the watchful eyes of the nutella monster! Well that is my excuse, what is yours gonna be;-) ? Back to road trips, ths one did indeed got made for a road trip. We were to stay in a remote cabin for a few days, and I was not sure about the amenities. Experience has taught me that things that would last a couple days and can be served easily are always a good insurance to have. This bread here is made with an enriched dough, so it stays fresh longer and is soft and tender. It is a sweet dough which is an added bonus 😉 . With the nutella swirled in, all I had to do was slice and pack. Of course when we are at home , the kids still slather on nutella ! 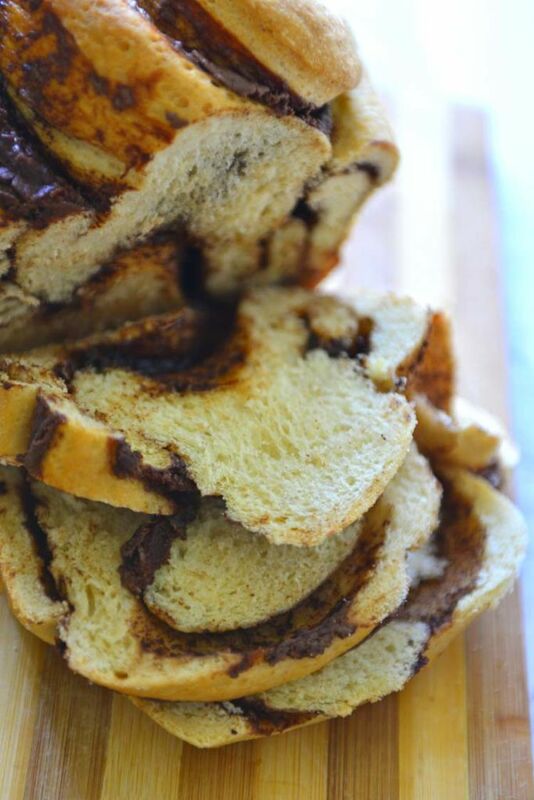 I just cant stress this enough – adjust the amount of nutella to your liking. There is no magic proportion here – we are not talking about royal recipes or trade secrets here. 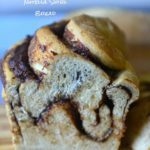 An easy sandwich loaf with swirls of nutella, that is a favorite of kids and adults alike. Heat 50 g or about 1/4 C of milk to 110F or just warm to touch. Mi x in 1 tsp of sugar and sprinkle the yeast on top. Set aside for the yeast to bloom. I f the yeast does not activate , discard the solution and start over. Take the flour in a large mixing bowl. Add salt and sugar stir to mix well. Make a well in the middle of the flour and add the activated yeast along with beaten egg and half of the remaining milk . slowly knead adding as much of the milk as necessary. Add the softened butter and knead for 10 minutes until the dough becomes smooth and pliable. In the bowl of the stand mixer add the flour , salt and sugar. With the kneading hook attached mis the contents in the lowest setting for 30 seconds. 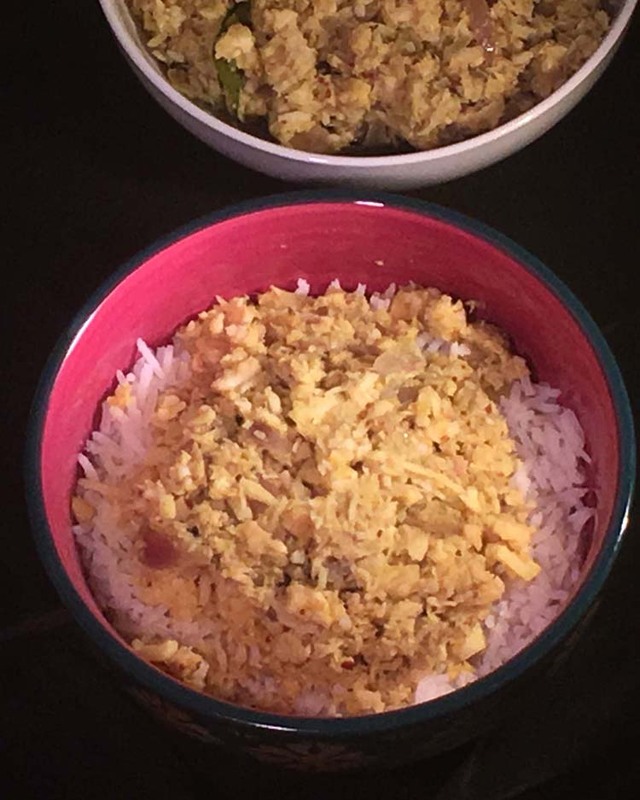 Turn off the machine and break the egg into the bowl. Add the activated yeast , softened butter and almost all of the milk. Knead for 2 minutes , the dough should form into a cohesive mass by at this time. If the dough feels very stiff add the remaining milk (if measuring by weight it wont be necessary). Continue kneading for 2 to 3 more minutes until the dough looks relaxed and glossy. Form the dough into a smooth ball. Lightly oil a bowl and place the dough ball in it , turning to coat all sides with oil. Cover with a damp kitchen towel or plastic wrap. Set aside in a warm place to double - about 1 hour. Punch down the dough. Dust a work surface with flour and place the dough on top. Divide into smaller sections if necessary. The dough is a little wet and you may have to dust with more flour. Roll out into a rectangle about 14 X 10 inch or so. Spread the nutella evenly on top. Roll along the long edge to make a long log. Make a deep slit along the length of the log going almost all the way to the bottom. Twist in the middle and tuck the ends. (watch the video for more details). 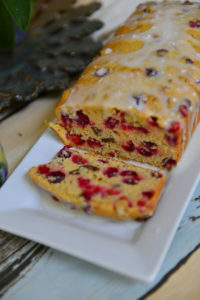 Place in a lightly oiled 9 X 5 loaf pan. Cover with a moist towel or plastic wrap. Set aside till it is almost doubled- about 30 minutes. At t his point the dough will rise over the top of the pan by about 1 inch. Place the oven rack in the center . Pre-heat t he oven to 375F. 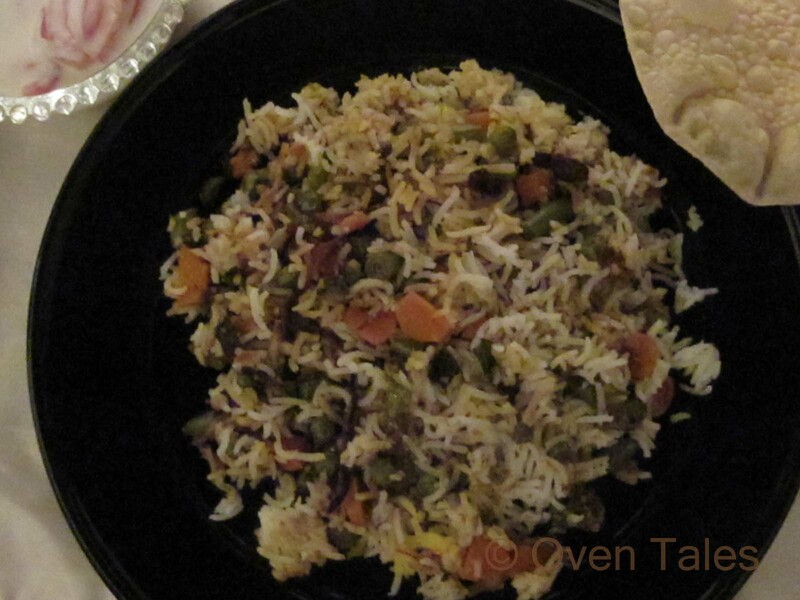 Place the bread in the oven and bake for 30 to 35 minutes. 15 minutes into baking reduce the temperature to 350F. The internal temperature of the bread should be 190F when cooked through. To check, tap the bottom of the loaf and it should sound hollow. Let the bread cool in pan for 5 to 10 minutes. Remove from the pan and transfer to a cooling rack . Let cool completely before slicing. This bread stays fresh for 2 to 3 days. For longer storage slice and freeze for up to 3 months. US volume measurements are used. The dough will be a little soft. The dough is a little wet and sticky. So if you have a stand mixer use it to make the dough. If not cut back a little on the milk, especially if you are not comfortable working with high hydration dough.